Is there anything more fun than decorating for the holidays? Twinkling lights, snow-dusted windowsills, and evergreen branches are staples of the season. Tutus and nutcrackers make decorating dance studios almost tutu easy! But, there are also ways to stay true to your school and your branding if you get a little creative. Dance Du Coeur in Sugar Land, Texas (near Houston) strives to inspire students to “Dance From the Heart” and to connect to their audience through the emotion of their art. So, even though it might be a little non-traditional, their studio tree is decorated with heart ornaments. You may have seen an image of the English National Ballet’s pointe shoe tree floating around on Facebook. It’s being displayed at the London Coliseum and it even has its own hashtag, #ENBTree! Well, Misty‘s Dance Unlimited in Onalaska, WI, doesn’t feature quite that many pointe shoes on their studio tree but we think it’s equally dazzling. The studio’s ballet director got the idea because their store had 18 pairs of shoes that had expired and couldn’t be sold (yes, pointe shoes expire — the glue and other construction materials break down over time). 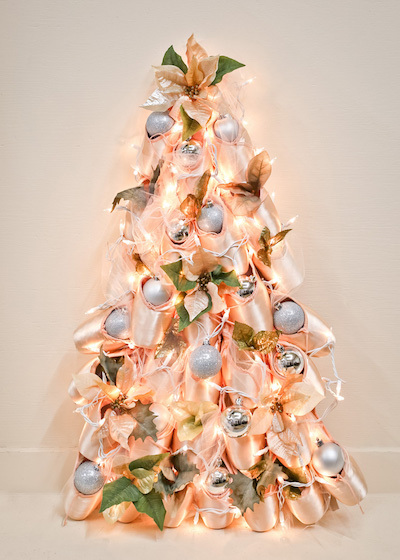 So, armed with matching tulle and poinsettias, a bit of glue, and fishing wire, she created a pointe shoe tree for the studio that everyone loves. 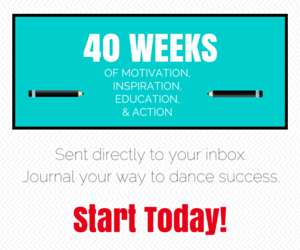 “I think I may keep it up all year,” says Misty Lown, who is the owner of Misty’s Dance Unlimited, More Than Just Great Dancing Affiliated Studios, and More Than Dancers, an online lifestyle magazine for dancers. Of course a tutu of pine needles is even better for a dance studio. Our favorite is this romantic silver and pink dress form creation from My Thrift Store Addiction – perfectly dreamy. If you’re not feeling crafty, you might take this rotating ballerina tree for a spin. She’d look great in a window display, don’t you think? Your studio is filled with lots of little hands (and feet). You could have each dance student in your studio lend their hands to make your studio’s hand print tree something really special. No room for a giant Christmas tree in your studio lobby? Not a problem. These tree ideas will make your season bright without taking over your dance space. Photographs (framed or unframed) can be placed in the shape of a tree on your wall. You might even try taking one photograph (a photo of students in action, or your school logo perhaps), splitting it into multiple posters, and hanging them in a triangular tree design. Use the free web app at Rasterbator.net to split your image and then print the individual panels yourself, or take it to a local print shop for help. How about using old dance recital programs or posters to create a tree collage? Photos of your students would work too. Strings of lights are a surefire solution. 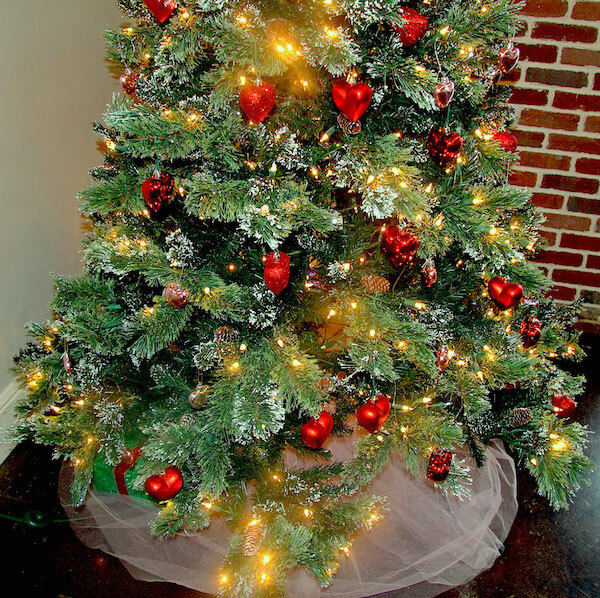 Place a strand of lights in a zig-zag pattern and you’ve got yourself a minimalist tree. A tree outlined with lights requires a little more precision but looks great on a wall. Chalkboard wall paint is a popular canvas for all kinds of creations, including Christmas trees. Though your studio may not be equipped with a chalkboard wall, mirrors are usually a given. Use dry erase markers instead of chalk to sketch a holiday scene or Christmas tree. Speaking of mirrors… wouldn’t a Post-it note tree make a statement? Does your dance studio have a Christmas tree that spreads the joy of the season within your studio family? Tell us what makes your tree special in the comments!